Didn’t get a chance to see the Grateful Dead in their heyday? No worries, Dead & Company, the latest iteration of the iconic band, will be touring again this summer. Dead & Company, which includes remaining Grateful Dead members Bob Weir, Mickey Hart, and Bill Kreutzmann along with John Mayer, Oteil Burbridge (Allman Brothers), and keyboardist Jeff Chimenti (Ratdog), announced in January a 24-date tour through the U.S. The tour kicks off May 30 at the Xfinity Center in Mansfield, Mass. and ends on July. 14 in Boulder, Colo. According to data from TicketIQ.com, the average asking price for tour tickets on the secondary market is $184.56, making it the most expensive Dead & Company ticket since the band started touring in 2015. 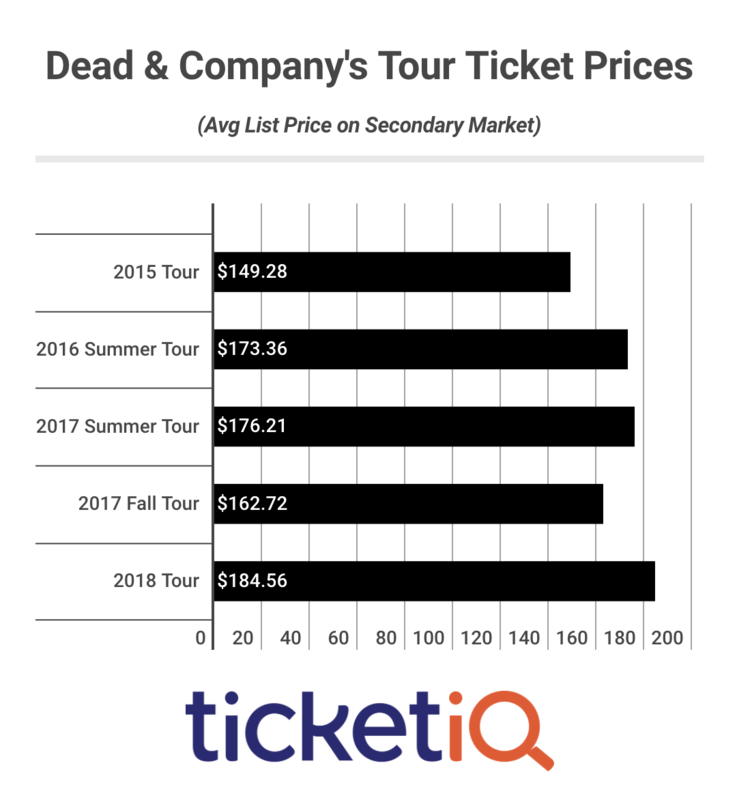 The next most expensive was $176.21 for last summer’s tour, followed by $173.36 for the 2016 tour, $162.72 for the 2016 fall tour and $149.28 for the 2015 tour. Though the band has not released any albums, concerts from 2016 and 2017 are available on CD, through iTunes or on the Livedead.co website. Among the sites for the Summer Tour are several sports venues, including the New York Mets’ CitiField (June 15-16), Dodger Stadium in Los Angeles (July 7) and University of Colorado’s Folsom Field (July 13-14). 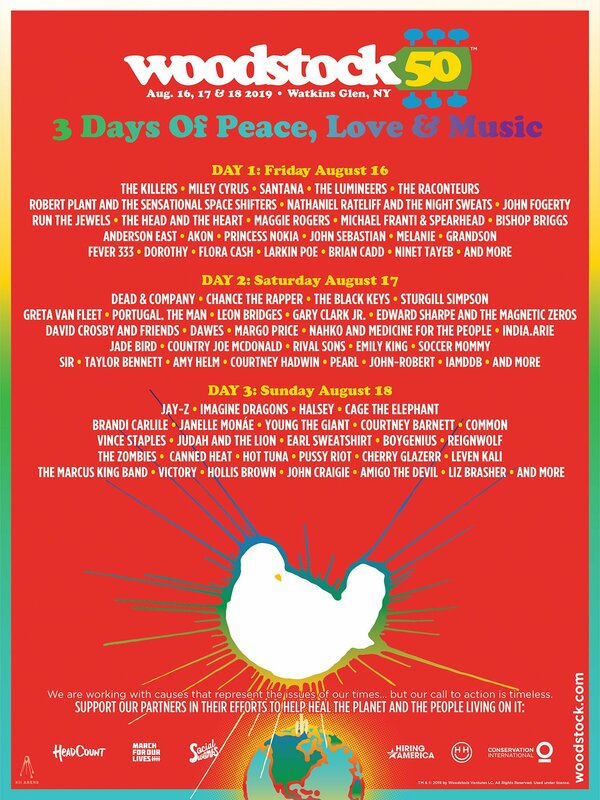 Dead & Company will play mostly single dates, though two concerts are schedule for New York City, Wisconsin’s Apple Valley Music Theater (June 22-23), Northern California’s Shoreline Amphitheater (July 2-3) and Boulder’s Folsom Field. Besides touring, Dead & Company has played two stand-alone shows in San Francisco over the the last two years – a free show at The Filmore in 2016 and a benefit at AT&T Field last November. No matter where you are in the U.S., TicketIQ.com is your place to shop for Dead & Company tickets. Among the company’s Low Price Guarantee Listings, mid-range tickets for the opening show in Mansfield, Mass. in the center of the seating area in Section 6, Row CCC can be had for $307 or tickets for the June 29 show at Washington’s Gorge Amphitheater can be had for $129 in Section 202, Row 26.